Mustang Car Rental Crete offers unique service in all major locations in Crete like Heraklion Airport and Chania Airport. Our main office is in Ammoudara just 5 minitues from Heraklion City Centre and on the closest beach from Heraklion. Crete is an amazing island full of diversity and contrasts. You can indulge your self in a numerous of activities and different places to visit. Whether you like Archeological sites like Knossos and the Minoan Civilization, or Breathtaking Beaches as Balos and Vai for sure there is a place for you in Crete. This diversity of Crete is the reason why the best way to explore crete is a Car Rental Crete. 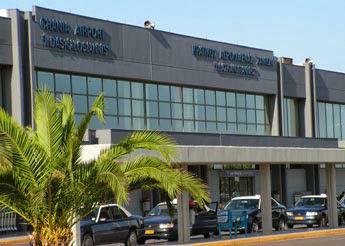 The airport is named after Nikos Kazantzakis, a Greek writer and philosopher who is native to Heraklion. Your Heraklion Airport Car Rental will be delivered in the arrivals hall of Heraklion Airport. Your Chania Airport Car Rental will be delivered in the arrivals hall of Chania Airport. Just make sure that you book with Mustang either on Chania Airport car rental or Heraklion airport car rental for an amazing Car rental crete experience.